How often do you look at a man’s shoes? Footwear is normally one of the first things you notice. A striking pair of dress shoes can complete a look—or cause one to unravel. Shoes can tell you a lot about a person. They speak volumes about wealth, confidence, style, and personality. If a man looks nice in a suit but is wearing beat-up footwear, it shows he doesn’t pay close attention to detail. When a man’s shoes don’t complement his attire—through material, color, and upkeep—it gives off the impression that he doesn’t care. What IS a bespoke suit? Good question. Some people think it’s a suit bought off-the-rack, then tailored to fit. Others believe it’s a suit made with your measurements, and a range of set options in the sleeves, lining, etc. Although DLNY and Porsche are in completely different industries, it can be said that craftsmanship in any trade, is driven by passion. It is for this reason that Condé Nast Traveler paired us with Porsche for their Connoisseurs: Pursuit of Passions campaign. We create suits that are customized to a centimeter of a man’s body, then styled with accoutrements to compliment their impeccable quality. Essentially, it could be said that Porsche makes bespoke cars. Bespeak is the official David Lance New York Blog. We use this area to answer any questions you may have about bespoke clothing. 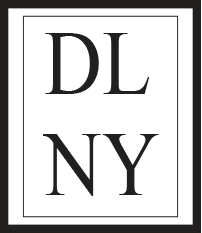 So send us questions or topics you want us to cover at contact@dlny.com. The suit is here to stay, and here at David Lance New York, we believe that there are two types of guys; The ones that wear a suit and feel comfortable in it, and the ones that wished that could. Our mission is to provide, the finest needlework, the most fashionable look, and the best fabric possible.